Cool. Lots of interesting possibilities with that kit. Would love to find one of these. Our first camper was a Shasta 13'. I'll be subscribed to this one. once I make a few more key decesions on the diorama and find a suitable pull car in the collection , this will hit the ground running ! Just found out through feebay, these are available as a 24th scale diecast. I'm thinking about nabbing one up. Looks interesting,would'nt mind a knock off to stick onto a cut down van etc. 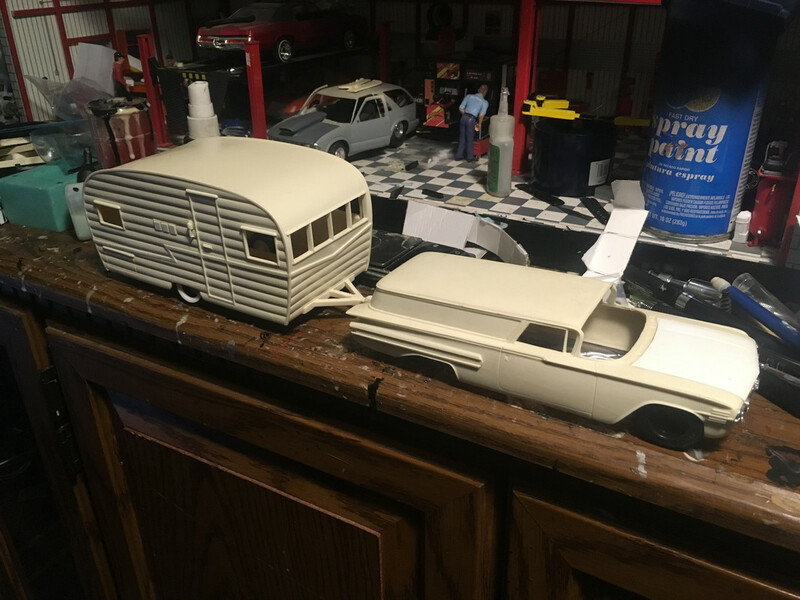 Here's the car I thought I wanted to use on the diorama , but when I set them together , the scale seems "off" .... What do you think ? Nice tanks! Ours had the same, lower body paint instead of the band midway, but ours was the more common canary yellow. Makes me want to go camping. It's like being homeless, but in the woods. Sure, there's a lot less people fighting for the good sleeping spots but then again, you won't get your face ripped off by a badger downtown. 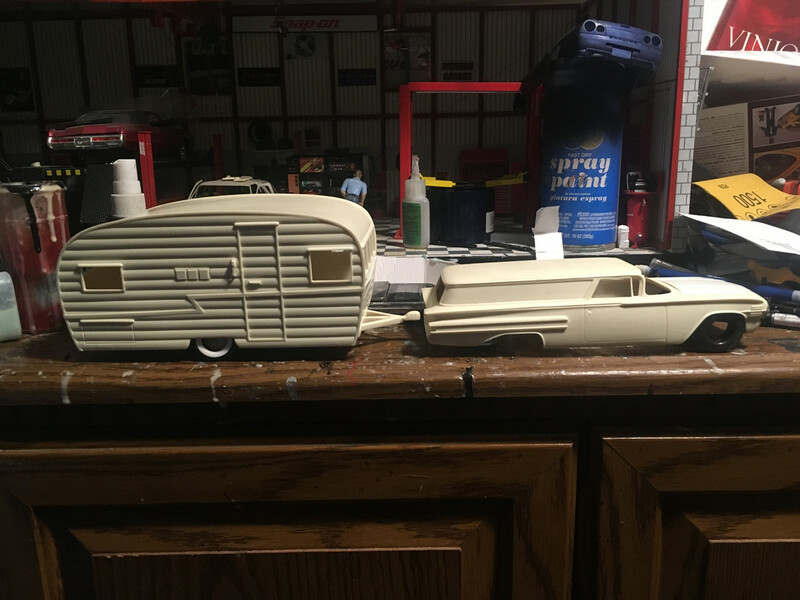 I need a driver side tail light panel for the 1960 impala kit ... anyone ??? Will the one from the Tom Daniel kit work? I can't remember if it has a stock unit or not. Looking at mine now. It's just a body width strip of red plastic. Any form of "bumper" that existed was blended into the body. Turned out great, nice job! Question ? Mr Gribble ! Nope , that's a custom light " all across the car type "